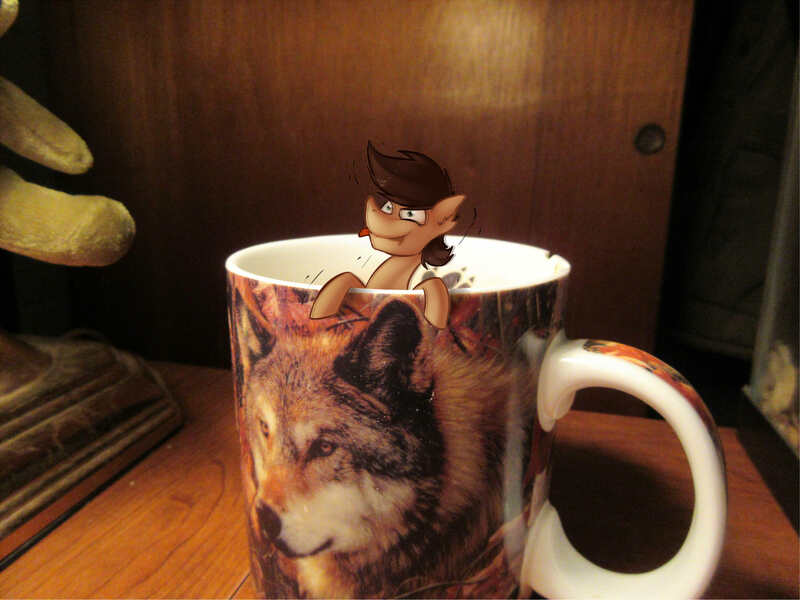 Little dude got into my coffee. Drank the WHOLE thing. Follow-up of him going nuts on caffeine? He must have one HELL of a bladder to handle that much coffee.